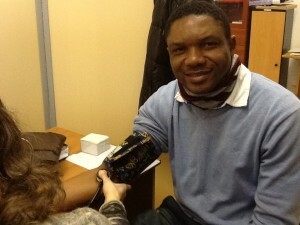 Operating since 2008, the Medical Advice Center provides medical consultation for disadvantaged individuals in Moscow that cannot afford health care. Through the Medical Advice Center, over 3,200 patients have received health care and subsidized prescription medication for diseases and illnesses which would otherwise go untreated. The Medical Advice Center operates every Tuesday, Wednesday, and Thursday from 10:00 to 13:00 at MPC’s Parish Center located near metro Kitai Gorod. Our women’s clinic is every Wednesday, so female volunteer medical professionals and translators serve women and children on this day. If you are interested in attending or volunteering, please contact Community and Partnership Manager Zeniye Zdorow at community@mpcss.org. If you are interested in sponsoring the program financially, or in providing a donation, please contact development@mpcss.org.